Constructed in 1931, the United States Botanic Garden was officially designed as the residence for the director of the United States Botanic Garden. Later converted into administration offices, in the late 1940’s, the building has remained essentially unchanged.Deemed architecturally significant, this historic rehabilitation seeks to modernize, in a phased fashion, all the elements of the building, bringing all the facilities up to 21st century technologies while maintaining the historic aesthetic. 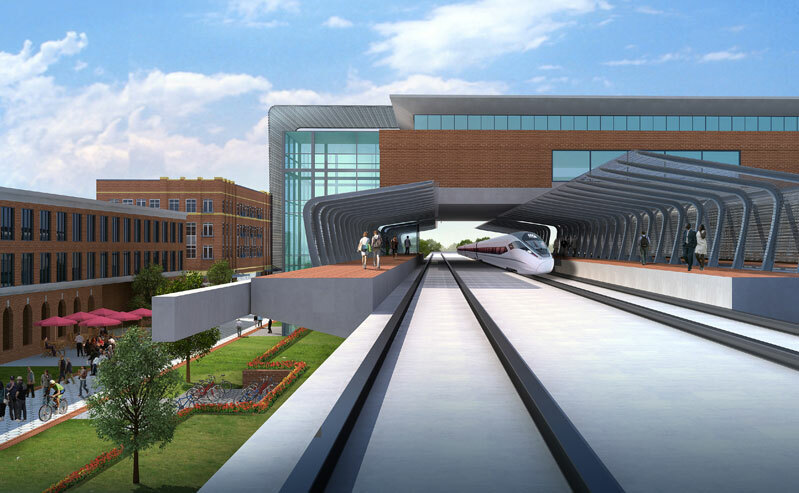 The Lunz Group is providing all design and research services through the Architect of the Capitol. The renovation of the building is divided into 10 distinct phases. 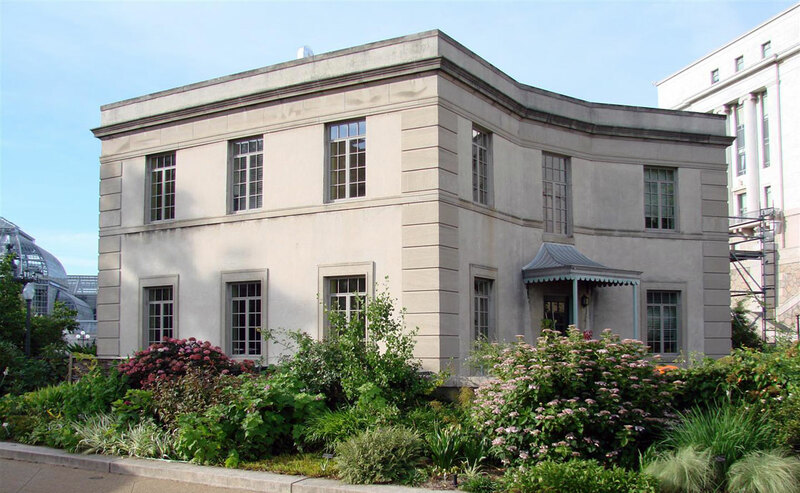 The project encompasses a complete renovation and rehabilitation of the former 1932 residence of the chief Botanic Garden caretaker, which now houses the administrative offices for the U.S. Botanic Garden. This rehabilitation is part of a complete restoration of the Garden, located directly adjacent to the U.S. Capitol buildings. 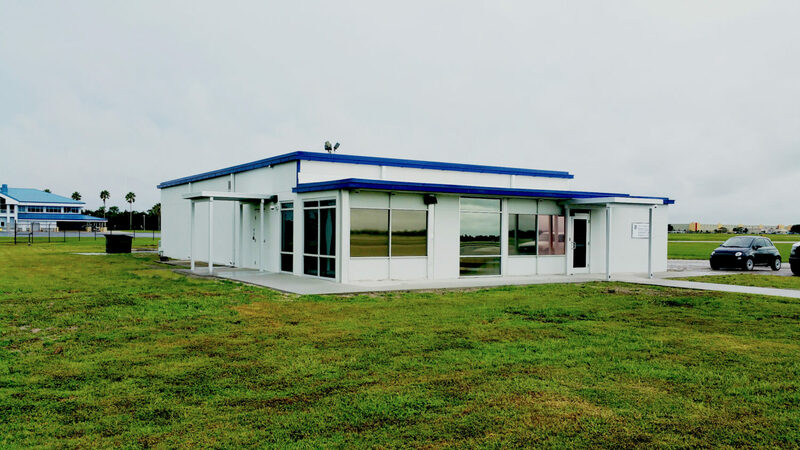 The structure has significant historic value but is legally exempt from listing in the National Register of Historic Places according to the National Historic Preservation Act of 1966. Though it is not listed on the registry, the Secretary of the Interior’s guidelines were followed. Additional preservation standards were required in conjunction with review by the Capitol Preservationist for all phases. 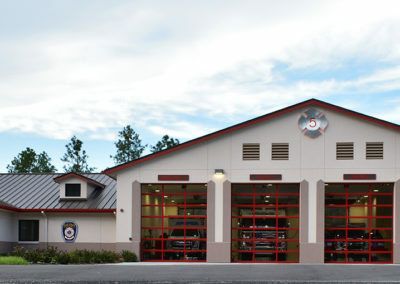 To date, completed building improvements include integration of central HVAC, fire sprinkler and alarm systems, a new electrical system and energy efficient lighting, as well as data cabling while maintaining the design integrity of the building. Recently phases 4, 5, and 6 which encompassed the interior restoration of each of the three floors were recently completed. The 1932 chestnut and maple woodwork and parquet floors were restored to their original beauty. While the kitchen was long ago converted to an office and all period millwork removed, a coffee and refreshment area in the style of a butler’s pantry was added to the second floor to service staff needs. Its details replicate those of the kitchen millwork from the original architectural drawings; simple bronze hardware with patina was selected to reflect what would have traditionally been a less ornate servant area. 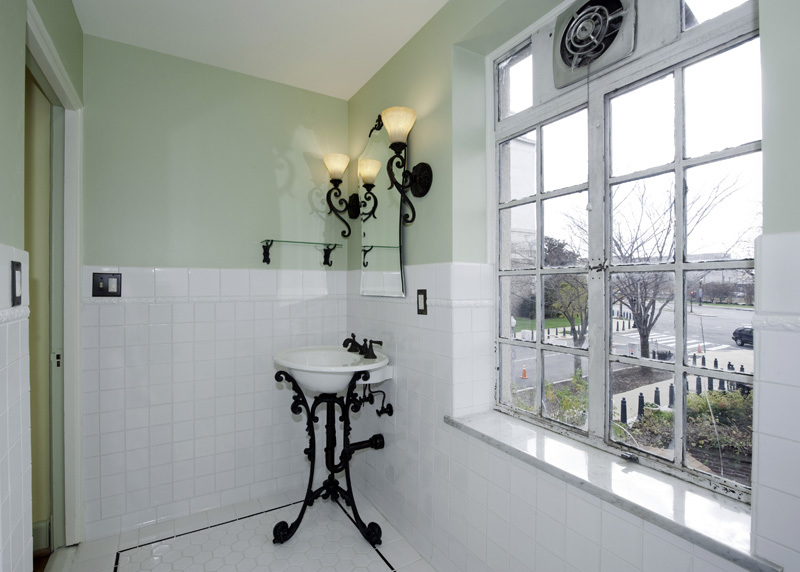 The restrooms incorporate period style fixtures and finishes, including the newly ADA accessible first floor restroom. Representative of the shape and size of the originals, handmade 3” hexagonal tiles in white are accented by black liner tiles for contrast. The walls are painted a soft green which pays homage to the original green tile that was damaged after decades of use. The overall color palette for the building was derived from a combination of extensive research and the requests of staff who wanted a period look while maintaining bright and airy spaces. 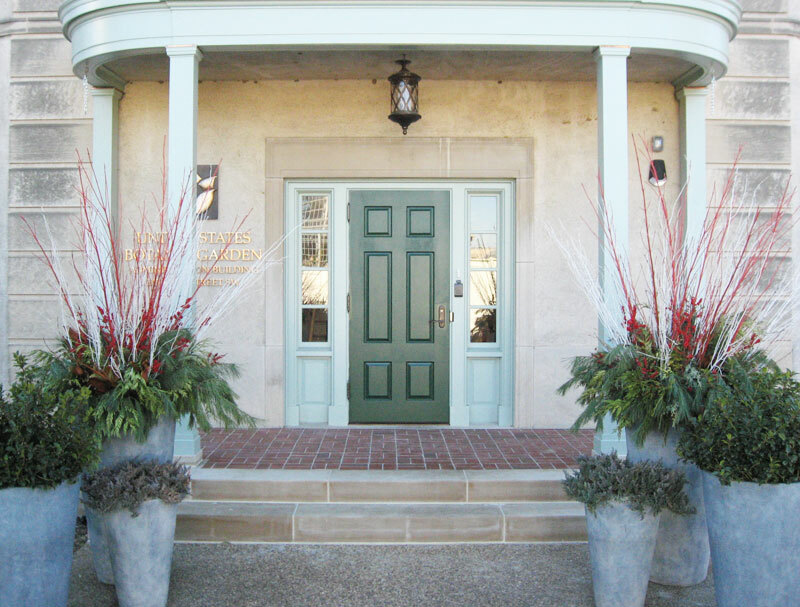 For the offices a soft shade of yellow was selected; muted green was used for the trim, a pairing typical of the era. Accompanied by soft blue walls and creamy white trim, black and white linoleum covers much of the first floor as it once did in 1932. 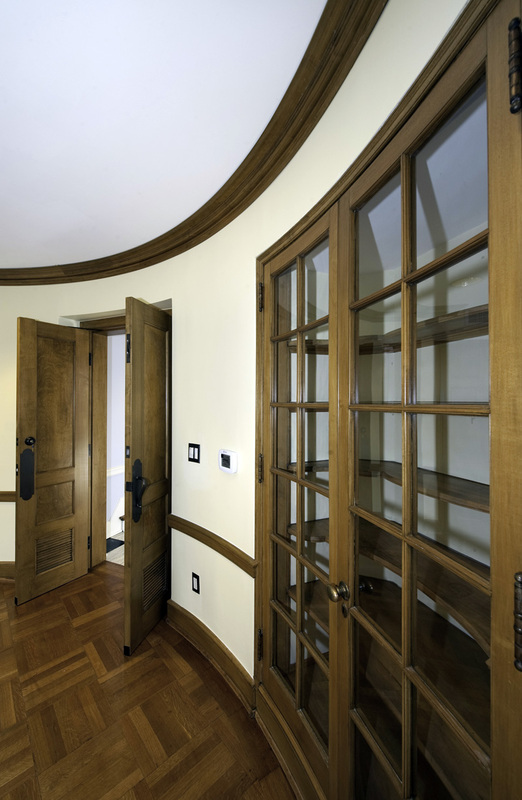 Botanical accents can be seen throughout the building’s interior as a nod to both the original and current occupants, the period-style lighting in particular. The fixtures selected have blown glass and faux alabaster shades with antique bronze finishes and organic details. 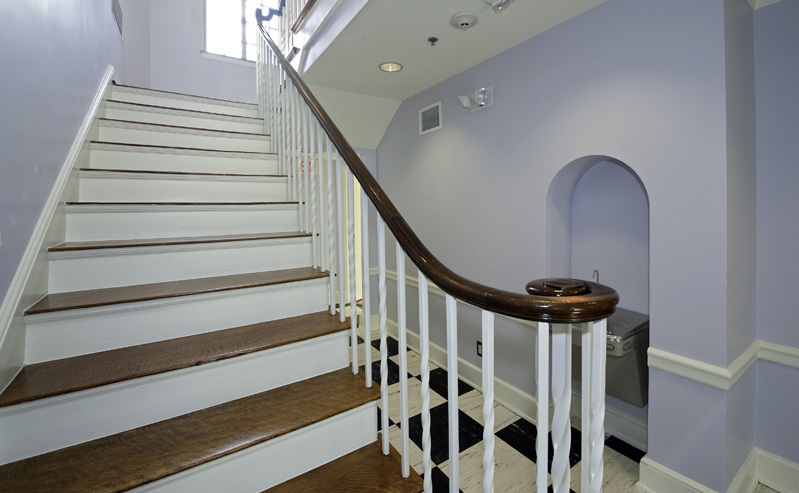 Renovations recently completed include replacing exterior doors and windows in a manner preserving the historical designs yet meeting security requirements, as well as replacing the existing front porch and accommodating ADA accessibility. Following completion of those items, façade cleaning, patching, and sealing, a full patio restoration and roof replacement are in line.